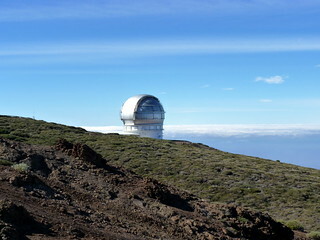 We made it to the Observatorio! Things are getting interesting now..
re: commitment. We need to turn our fears of commitment into habits of commitment. We’ve been trained to listen (old media), trained not to listen (new media), now we need to unlearn, relearn and begin to listen and talk (social media). Vendors need to turn their prescriptive solutions (for IT, HR, MKT “problems”) into preventive measures (for ee health). Hi Joachim! Love it! Glad you spotted the connotation around the Observatorio! Well done! Indeed, we have finally made it and now it’s when the *real* work gets very very interesting! Loving as well your commentary around habits of commitment, because I think you are right on the money and perhaps not just for vendors, but also for businesses in general as well. Specially, around commitment that goes through dual highways and not just one way: i.e. the employee to the employer. Social Business does enable that mutual understanding of commitment on both parties and we would need to do plenty of unlearn and relearn in this aspect if we would want to make it work just right. Yes, I know most folks would identify this one aspect with loyalty, but it’s again way more than just that! Again, it’s the dual highway we are missing, covering all of the different aspects within a business, and not just necessarily sales, marketing, communications, development and so on. It’s coming right into the heart of that single group that can help provoke that final transformation for the unlearning and relearning processes to work! predating the whole social-this-social-that hype. And yes: anything that makes me feel more awesome gets my attention. Hi Stephan! Happy New Year, my friend! Glad you could drop by the blog to share a comment or two along the way! Much appreciated! Absolutely!! I have been blogging over the years about plenty of the superb stuff that Kathy has been doing in this space of “delighting your customers” and, like Tom mentioned on his blog post, it’s the least we could do about it, that is, about business: caring for our customers, whether internal or external. The thing is that somehow if I have been saying for a while how knowledge workers are disengaged, the very same thing could be said about customers being totally disengaged, specially, due to that vendor candor on only being interested in selling versus building something much more meaningful: (business) relationships. Luis, it’s true that “social business” risks becoming a joke. The hype is very reminiscent of knowledge management – both the promise and the failure to deliver. 2013 may be the year in which social business flourishes but I would prefer to see the social side as the result of some core principles rather than the driver of change. What are those core principles? An organization must trust its employees. It must be trusted by its customers. It must be open. And, it must deliver. If we have these principles in place, we should be positive about sharing them with our clients and our contacts and we can happily become social. If not, no number of policies or social software will help. Hi Ara, thanks a lot for dropping by and for the feedback comments! I don’t think I would be stretching it that far of considering social business becoming a joke. I think it’s more running the risk of becoming “just another” IT initiative that failed to blend soon and good enough into how we run our businesses today. Like many other hundreds or thousands in the recent past, i.e. last 2 or 3 decades. Goodness! Big words those you mentioned above as well around Trust, Openness and Delivery. Right at the heart of what most of us are starting to feel that business transformation needs to happen and, funny enough, have you noticed how for each of those you don’t necessarily need social networking platforms to make it happen. We, knowledge workers, along with the firms we work in, and our customers, can become rather open, trustworthy and prone to deliver and excel without having to rely much on technology, but on the mindset, on the shift of habits that you very well have put together above. Something that clearly indicates the revolution is no longer on using these social technologies but on provoking that business transformation of who we are and what we do, tasks and activities that are ultimately influenced by HR driven process. That’s where the real transformation needs to happen, in my opinion, and why we still have got plenty of really good work to get done eventually! Hi Luis, interesting post and interesting idea. Commitment ? To what ? It’s very difficult to say, because social business participates in a deep transformation of the corporation, by making its social fabric richer. But this deep transformation is complex. No wonder that evangelists, vendors and clients alike are a bit lost as to what exactly social business is accomplishing. At the very least, social business projects are helping employees develop an intimacy with social technologies within the workplace, and that in itself is important. In my experience, social business projects are also developing a new sens of autonomy in project leaders and members and even a sense of responsibility as to what they should accomplish in their own corporations with thèse new technologies and ways of working. I think 2013 is the year we go deeper still into technology and into management evolution. We go deeper still into building the pillars that will allow a new kind of innovation, more radical, more institutionnal to take place. I would committ to continue searching and working with clients that believe in liberating individual initiative and collective engagement, and that are willing to take a risk. What a fantastic set of comments, Luis! Many many thanks for sharing it along with us all! Just wonderful! I guess Commitment from the perspective that’s now a good time to start putting your actions where you have put your words all along. We are not seeing enough “Walk the talk” or “Learn by doing”, for instance. Take the example of those so-called Social Business Evangelists you mentioned above, as well as Social Business vendors… How many of them annotate, or even complain, on a daily basis they are incredibly overwhelm by the huge amount of emails they still receive for work related matters. Really? Put your actions behind your words, please. If you are a true Social Business evangelist, prove it and live it. If not, start looking for something else, because the stakes are going to become a lot higher and not walking the talk would indicate you are not much of a believer of what you are, say, “selling”. Commitment as well from the perspective it’s now probably a good time for businesses to start realising, through social networking, a few things and key concepts that we have been missing from the corporate world for decades: trust, openness, transparency, equity, democracy, servant leadership, and so forth, which would all eventually reflect in our society and I feel that’s also part of the commitment we are missing out there at the moment, where the corporate world has lost that sense of responsibility towards society, when it should breathe it all along.